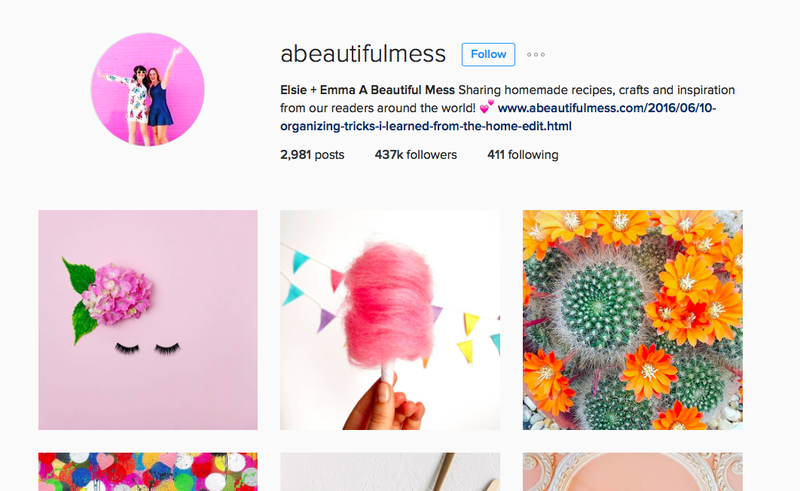 Instagram is a really good resource for getting more eyes to your blog, YouTube videos, or anything else you want to promote. But with so many accounts with similar content, how are you and your projects supposed to stand out? In the past I’ve given tips on having a cohesive feed, but to attract more views from the right people it all comes down to communities. 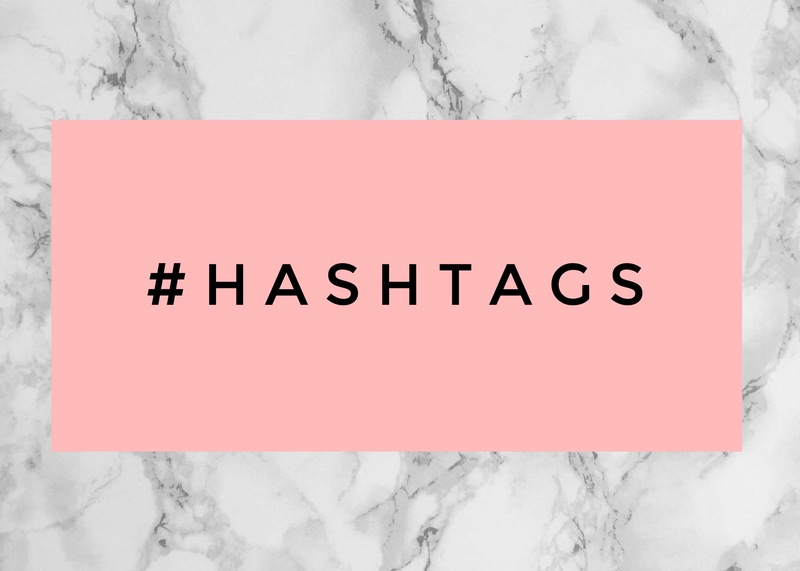 To become a part of a community or get promoted by a page with a bigger audience than yours, you have to use the proper hashtags. I even have a list of my own I use often to categorize my posts so my followers can easily find the content they are looking for. For makeup and hair, I use #beauty_withme, Travel I’ve got #travel_withme that I use the most often but if you are looking for things to do in Los Angeles I use #LA_withme or because I frequent New York and Paris often, I’ve also got #NYC_withme and #Paris_withme. You can also check out my outfits on #style_withme, fitness and wellness at #health_withme and finally food at #eat_withme. 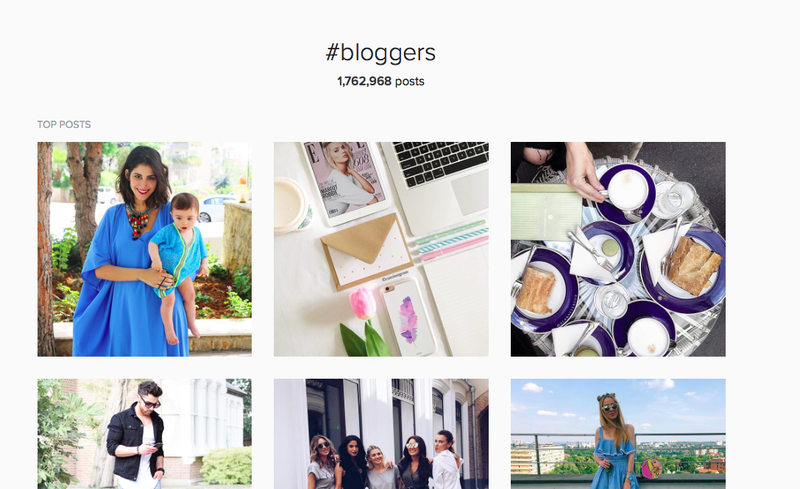 The right hashtag can attract a community of IGers who are interested in your type of content. Before you go making a lengthy list and attaching it to every single post, be sure to research the tags you’re using. Does it make sense for that specific image? Is it attracting people that would have a genuine interest in what you are promoting? Is it an active tag with a community you want to be a part of? If all the answers are yes then tag away! Here are some popular tags, and when it’s appropriate to use them. Be sure to copy each list you need and save it to your notes in your phone to use when needed! These are great for normal blogging content. These are pretty generic but still check out each one before you begin using it. Again, these are generic so take a look at them before you start using them on your pics to see which is most in line with your vibe. 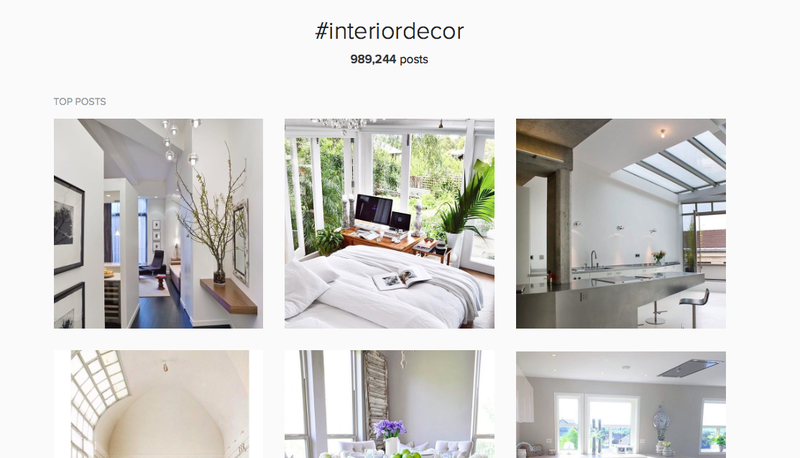 If your content is all about interiors, home decor, or architectural inspo, these are for you. All about crafts and DIYs? Check out these tags to see which are right for you. Hair is REALLY popular on Instagram. Since the tags are so overused it’s best to use a mixture of generic tags like #hair and #haircut with specific ones like #balayage, #naturalhair, or #blonde. 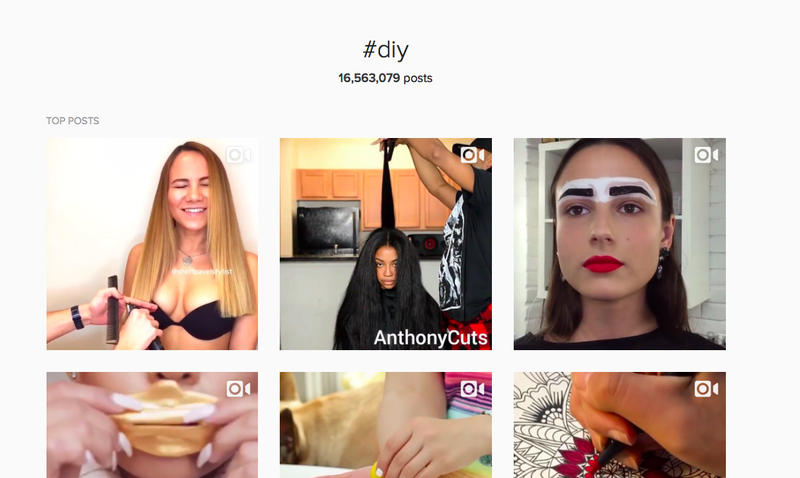 If you’re a stylist focus on posting transformation videos, they’re best for showing off your skills and get reposted more than images. 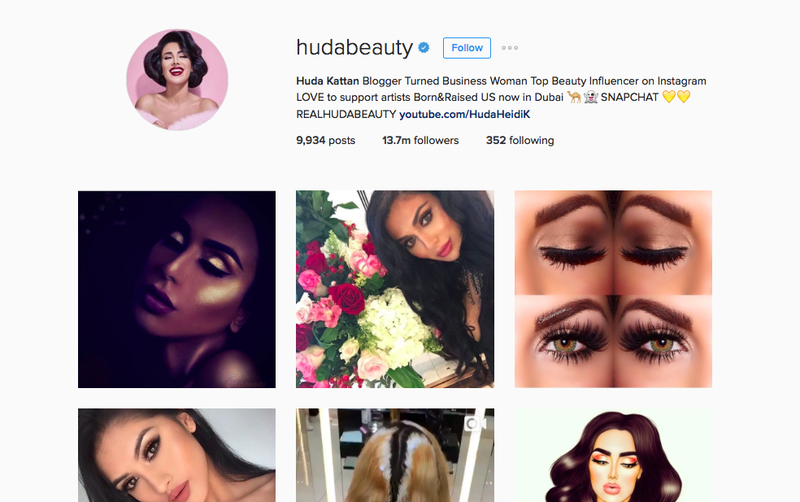 If you’re a beauty enthusiast or an aspiring YouTuber, I recommend posting mini tutorials on Instagram to grow your audience. Whether it’s a sped up full face makeover or a simple video on how to clean makeup brushes, these videos are crucial to showing off your abilities and personal style. 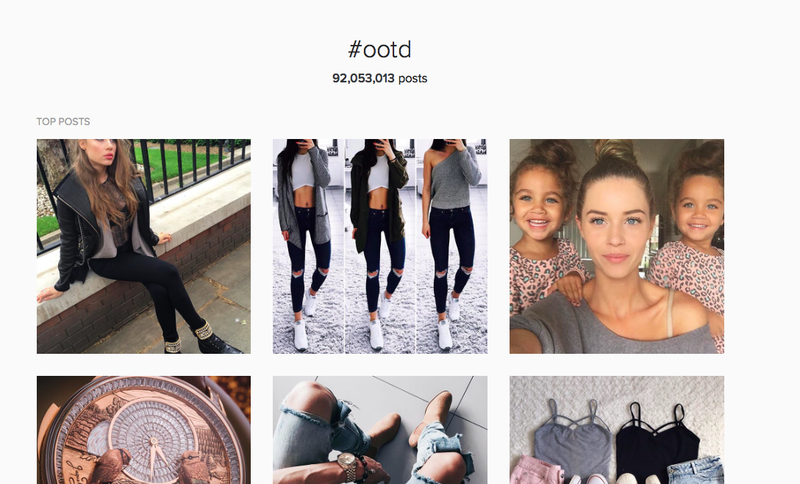 These are tags associated with pages that repost pictures in line with their aesthetic. Again, it’s really important to take a look at each page before you start using their tag. You want them to repost you so be sure that your content is in line with the type of images they are already posting. Most of these accounts prefer clean, crisp images so try not to over filter your pics. 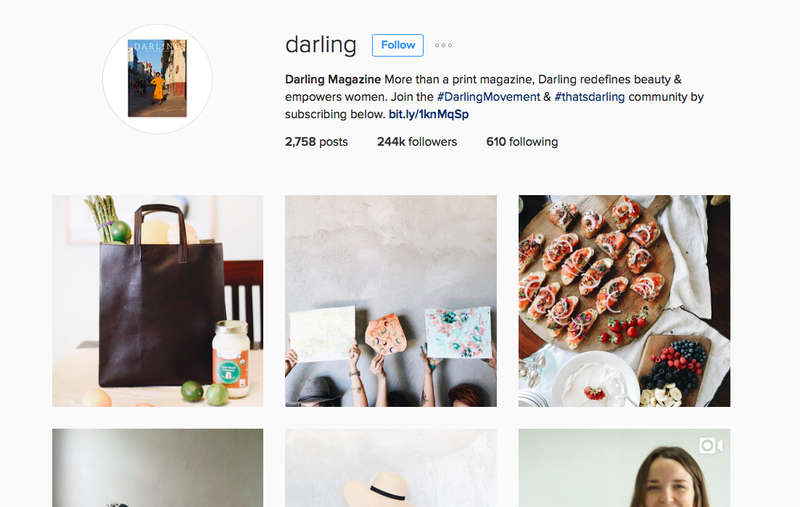 @darling is a feminine lifestyle page that reposts crisp shots, flat lays, travel, cute animals, food, and style. 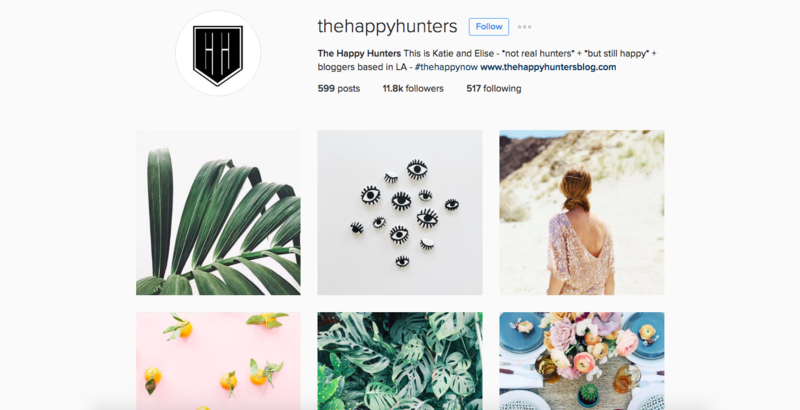 @thehappyhunters page reposts lifestyle, fashion, and travel pictures and basically anything that makes you happy. This could be a beautiful view, new stationary, pretty much anything. @abeautifulmess is focused on bright beautiful images celebrating crafts and recipes. They have several tags for specific images they will repost so be sure to only use the one that best relates to your image, this will make yours easy to find and more likely reposted. 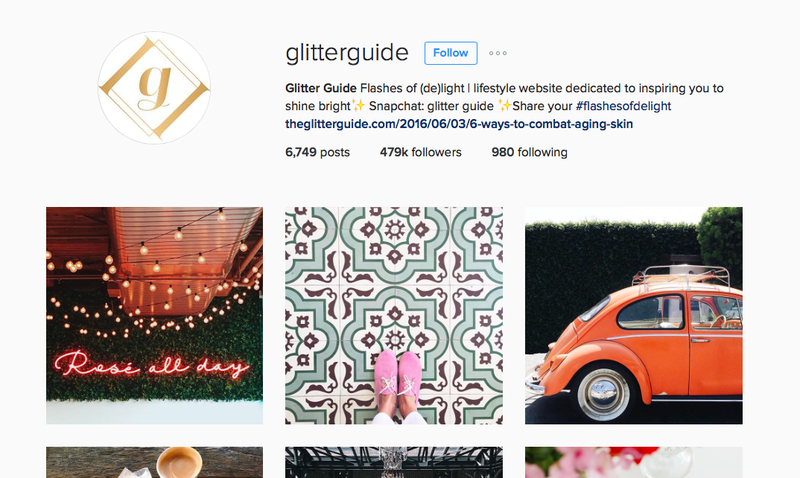 @glitterguide is a beautiful lifestyle page that showcases bright and colorful food, interiors, and other lifestyle images. Use their tag on your prettiest, girliest posts. 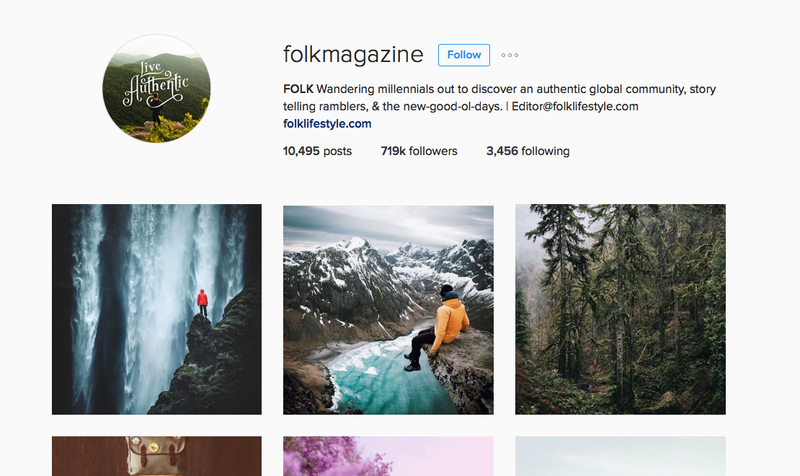 @folkmagazine posts and reposts gorgeous outdoor images. This is a perfect tag to use if you enjoy taking outdoor photos. I hope that helped! If you’ve got any good hashtags or repost accounts everyone should know about, leave them in the comments below! You are the best dear. You know why you are so successful because you help others grow. Your parents up Bringing is really good. I really wish i can be like you even when i grow in the Future. This is a great article about hashtags . No food 🙁 maybe next time ? no way thats awesome! see how great hashtags works?! you used it, it ended up on top posts and now its on my blog and without using it i wouldn’t have seen it! Whats the tag for beauty and makeup? Such great infirmation. Thanks fOr sharing! Thank so much for sharing Marianna! Xo! I lOve this! Thank you! I always feel like i work so hard to get my pics out there and i use a ton of hashtags. I have instagram and youTube @nicolesbeauTymark so im def going to use your adviCe. I love these hashtags and they have deifnietly made a difference on my instagram game! I love connecting with new IG acCounts through the lIve authentIc hashtag! Awesome way to boost our instagram game! So many great tips, thank you!! Really great post! I always tend to stay away from hashtags that are overly popular or overly used like #blogger because my picture gets lost with all the other thousands being posted at the same time. Instead i use #fblogger for fashion blogger. This is just me tho and my experience! Great post. I generally leave a ton of hashtags under my caption but I will try the approach of making a SEPARATE comment so it isn’t distracting the images. Hi MarianNa! just wanted to say how great it is that you share your blogging advice with all of your readers! what do you think was your tipping point from taking your blog from amateur to professional? Loved this post, great tips! Thanks a mill Marianna, great post. I need to calm down on using too many hashtags…and start using the right ones haha!! Awesome Hashtag tips Marianna! I love what you do and hope to follow in your career path. You should mention in this blog or another blog on how you hashtag #Lifewithme #Travelwithme etc. I think it’s a great branding technique. !!!! !Love All the Products!!! Check out our NEW Shop!!!! I’ve been reading your site most of the time and I super adore you!!! so incredibly helpful! thank you for the tips! This was so helpful! THANK YOU FOR SHARING! It’s nice to see a list of all the blogger’s make up looks. Each are of course very different and very pretty.Thanks a lot for posting this. Thank you so much for the tips! I am a new blogger so this helps tremendously! Ive been posting a lot of hashtags so i will start posting them in the comments now. Thanks! Great post. I learned new ideas about the usage of hashtags. thank you for introducing this to us. it really helped me a lot to gain more followers on instagram. there is another way to gain more followers and likes on your instagram, it is by purchasing it like buyrealmarketing. Yes, hash-tags are good. But it is not enough to gain followers. if you want to increase your number of followers fast and effective then you better use something like zen-promo.com . It is not against the Instagram’s terms, it is important too. Your website looks so damn beautiful.it has some amazing pictures and well organised contents too. This post was so helpful! I just published a new makeup tutorial video here https://www.youtube.com/watch?v=fig5BRb2mcY and needed to come up with hashtags for my next ig post. thanks!